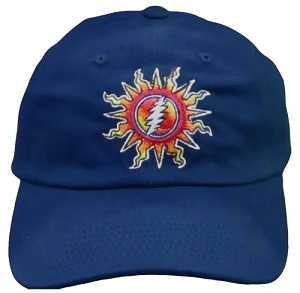 Check out this vibrant Grateful dead baseball cap and let your love light shine! 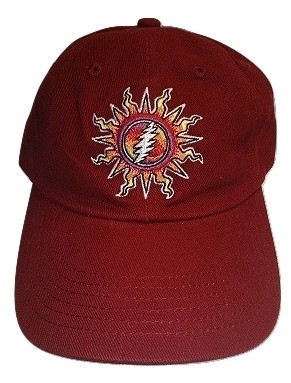 This adjustable maroon baseball cap features a sun with the classic 13 point lightning bolt inside. Officially licensed Grateful Dead merchandise. Now available in maroon or navy blue.